Fire up your students' mathemaginations! Sparky Lesson Starters is our attempt to bring together a selection of 'Aha!' moments to show your students the magic of maths. The resource has been written so that these are bite-sized chunks (perfect for lesson starters), but with opportunities to extend and develop concepts further (or use within the main body of a lesson). Sparky Lesson Starters costs £14.99. Click the button below to be sent to our secure Paypal checkout. Once we have seen and processed your payment, we will record your details and email you the download links. 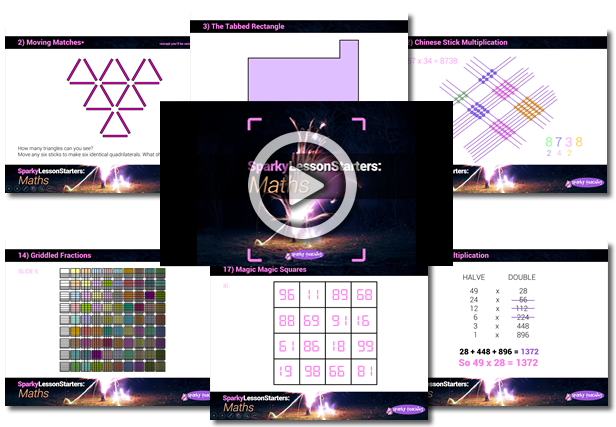 Sparky Lesson Starters - Maths is an electronic resource. If you're a publisher and might be interested in seeing it in print, do get in touch. 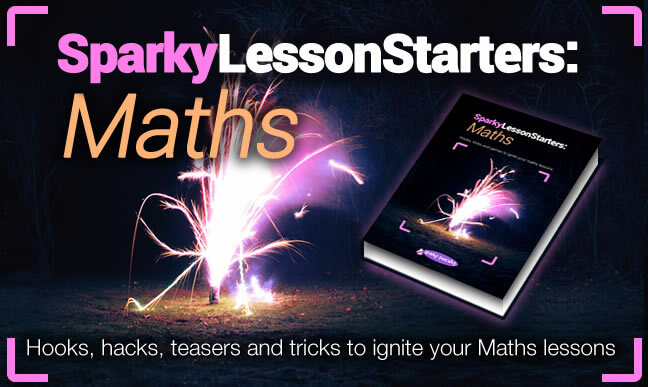 Sparky Lesson Starters - Maths is copyright Sparky Teaching 2017.